The Ranald Hotel is located just off the main street in Oban. Please be aware that due to our location and size of hotel, we do not have a lift, however our staff are always on hand to help with luggage to and from rooms. Please note that at The Ranald Hotel, there is no designated parking exclusively for the hotel. There is limited on street paid parking surrounding the hotel which is free between 6pm and 9am Monday – Saturday and free all day on Sundays. There are also a number of paying car parks and free car parks within walking distance of the hotel. Please see below for full details. On arrival at The Ranald Hotel, we have Oban guides available for you and our staff are only to happy to help by answering any questions you might have about Oban and the surrounding area. Known as the ‘Seafood Capital of Scotland’, Oban and the surrounding area is home to some of the best seafood restaurants in Scotland – one of which is our sister restaurant, The Waterfront Fishouse Restaurant. As well as their a la carte menu, they also offer a special 2 course menu at lunch and early evening (please see times on their website) for just £11.95 per person. Situated right by the sea on the South Pier, we guarantee you will be in for a feast with the freshest catch available. Book a table at The Waterfront Fishouse prior to arrival by visiting their website and booking online . For those not so keen on seafood, or if you are simply looking for great gastro food at affordable prices, our other sister restaurant, Cuan Mor, will provide just that. 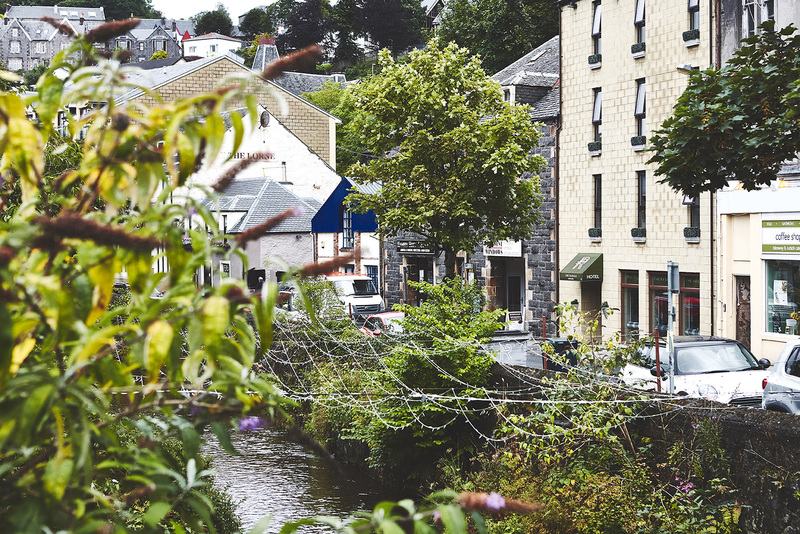 Cuan Mor is loved by locals and tourists alike for the rustic, friendly atmosphere it creates and great hearty food it offers – something for everyone. Please note, advance bookings are only taken for parties of 5 or more, however there is a lovely bar, designed by Ranald McColl, to enjoy a drink prior to being shown to your table by their friendly staff. 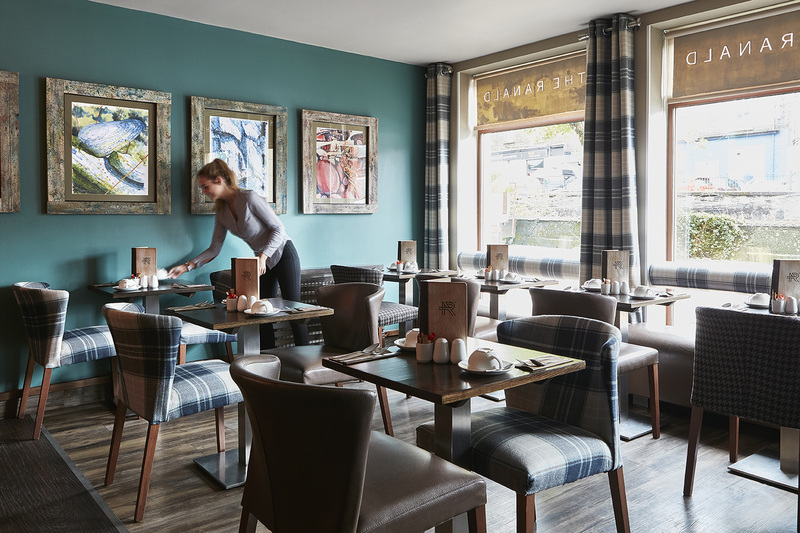 Perhaps you’re looking for a quiet night in or a cosy place to go for a drink with friends – look no further than our very own The Ranald Hotel Bar (also our breakfast room in the morning). With the lights dim, the candles on and some light music in the background, it’s the perfect place to unwind with a glass of wine or a dram. Please contact the individual restaurants if you have any allergies or intolerances and they will do their best to accommodate your request. Guests can benefit from sheltered parking at Stoddarts of Oban at special rates. Please contact Stoddarts directly and quote “The Ranald Hotel”. Oban is often referred to as the Gateway to the Isles, the Heart of Argyll but most importantly, in our opinion, it is best known as the Seafood Capital of Scotland. Oban is very fortunate to be surrounded by some of the best seafood restaurants Scotland has to offer – whilst offering guests fresh seafood on our doorstep. If you’re not a seafood lover, there are plenty of other great alternatives too. Oban is not just a Gateway to the Isles, there’s plenty to do and there’s always something for all the family. For further information and to help plan your trip to Oban, please visit www.oban.org.uk.